Each year approximately 5000 children are diagnosed with Thalassemia-major in Pakistan. Organizations are working to help those children suffering from such fatal disease. One of these organizations is Life Saving Cause (LSC), a society established by students of IAS (Institute of Administrative S0ciences) in 2011. 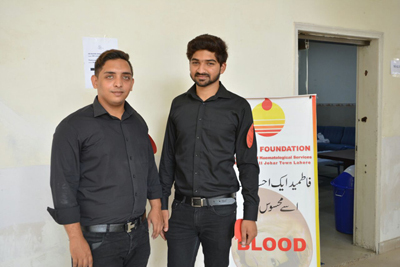 As the name implies, the major objective of LSC is to save lives of people who are in need of blood by providing them with blood donors in time. LSC has taken a step-up to be a helping hand for Thalassemia patients by organizing a blood camp at Institute of Administrative Sciences in collaboration with Global Youth Clan (GYC) and Fatmid foundation. Prof. Dr. Nasira Jabeen - Dean Faculty of Economics & Management Sciences, Dr. Tehseen Zameer Ali - Chief Medical Officer, University of the Punjab, Dr. Farhana - Deputy director Fatmid foundation and Dr. Wasim – Fatimid Foundation, Chairman Lahore Corporate Premiere League (CPL) – Mr. Syed Ahsan Zaki, Mr. Muhammad Zahid and Ms. Sameen Zaki showed their support by joining the Thalassemia awareness session conducted by Fatimid Foundation. 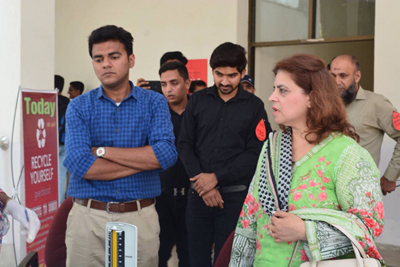 The guests appreciated the efforts of LSC towards spreading Thalassemia prevention awareness and visited the blood camps at the institute. Thalassemia is inherited blood disorder characterized by abnormal haemoglobin production. Dr. Farhana Deputy Director Fatmid foundation highlighted a neglected issue of our society. She stated that more than 2000 children are registered at Fatmid Foundation who are suffering from Thalassemia major disease and require blood transfusion every 15 days. She also shed stressed on the fact that people tend to neglect their responsibility to undergo a simple Thalassemia test before getting married. That test can identify if the person is a carrier for the disease and whether he/she is a major or a minor carrier. 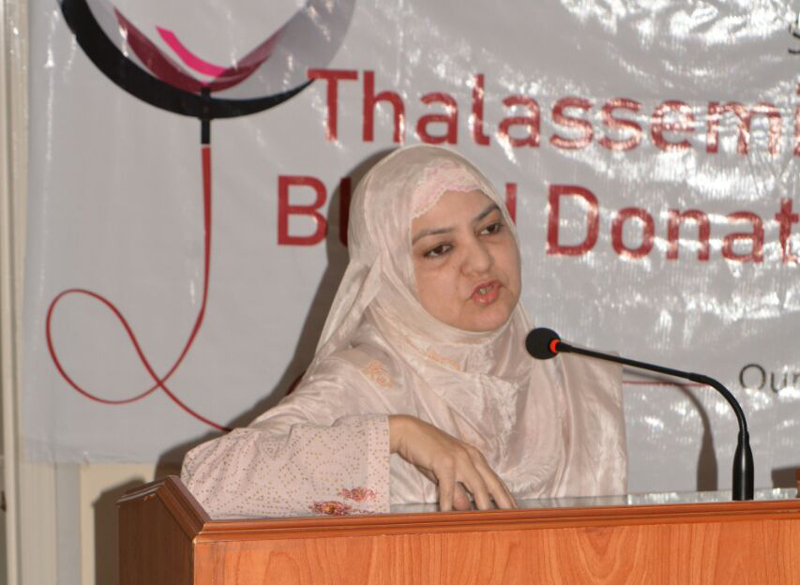 This precautionary measure can save next generations from this affliction, said Dr. Farhana during her speech for Thalassemia awareness session. Muhammad Bilal Anwar, president of Life Saving Cause, shared the history and mission of LSC i.e. 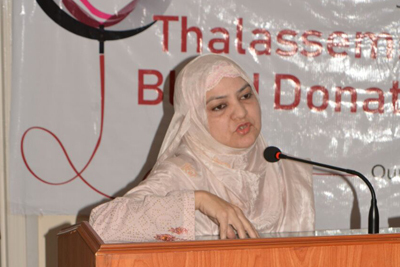 “Thalassemia free Pakistan”. He also elaborated on the efforts to promote awareness for Thalassemia by sending LSC teams in different departments of the Punjab University to invite more donors. Mr. Syed Ahsan Zaki - Chairman CPL shared his views and appreciated the remarkable passion and efforts of students working for the noble cause. It was a pleasure to have one of the co-founders of LSC, Mr. Affan Rashid Naz at the session. He has always worked tirelessly during his studentship to build a community of students who would work for this noble cause to serve humanity. Mr. Affan offered his immense support for the society. 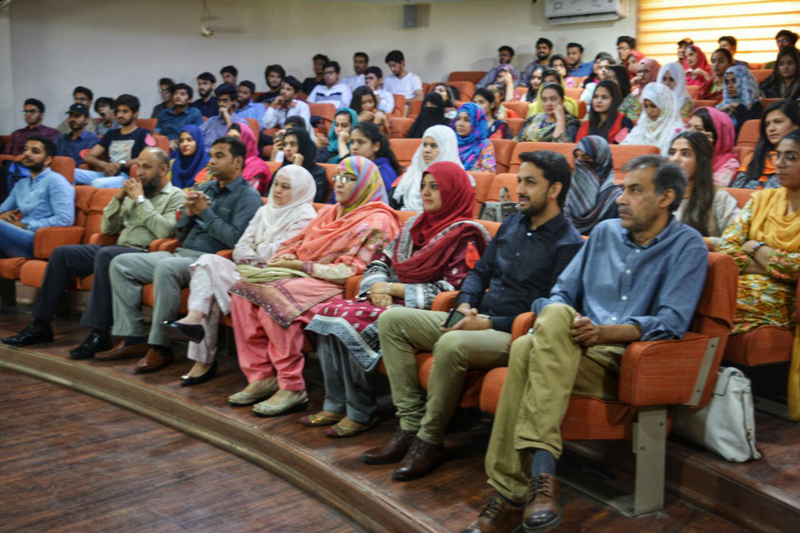 Prof. Dr. Nasira Jabeen also appreciated and recognized the efforts made by Mr. Affan Rashid and highlighted the aspect of publicness in all activities at the institute. She reminded students that prevention is better than cure and shed some light on the importance of blood donation from medical and spiritual point of view. 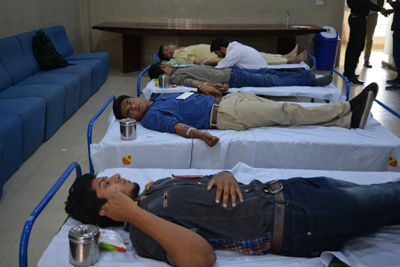 A total of 86 blood bags were collected at the IAS blood camp today. LSC intends to expand its activities and mission by collaborating with Fatmid foundation and Chugtai’s Lahore Lab in near future.